We’ve all done it before. At some point in time, you have left food in your car, sometimes overnight. 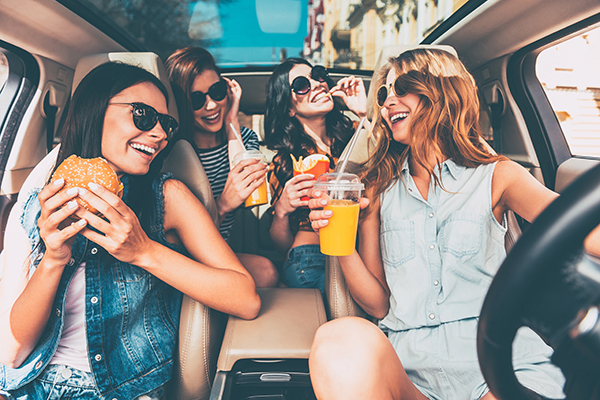 Most people know that spoiled food is bad for you, but nevertheless, many individuals continue to eat food items they’ve left in the car for an extended period of time. For this reason, the team at Car-Registration.org has taken the time to compile a list of four reasons to never leave food in your car. If you’ve ever been tempted to eat the lasagna you left in your car last night for lunch, take a look at the following list. Did you know that eating food that was left in your car increases your chances of catching a food-borne illness? The Car-Registration.org team does, and when food is exposed to high and sometimes mild temperatures for an extended period of time, bacteria, mold and viruses have an opportunity to attach themselves to your food. Bacteria multiplies quickly in warm, moist environments, and even if it is relatively cool outside, the temperature inside your car can be much higher. This is especially true during the summer and spring months when temperatures outside exceed 80 degrees. If your food displays any of the traits above, it should be disposed of immediately. Meats, fresh produce, dairy products and most other food items will gather bacteria when left in a warm environment. No one wants to eat old food. And even if it is not crawling with bacteria, leftover food can still be quite disgusting and unfit for human consumption. So do the smart thing and just throw it in the trash the moment you find it. The team at Car-Registration.org understands your hatred of household chores, but when you leave food in your car, you are adding a new chore to your list. As time progresses, food items have a tendency to stick to their containers, making the residue nearly impossible to wash off. When food attaches to the side of a container for an extended period of time, even the most efficient dishwasher will struggle to get the container clean. The scent of spoiled food can also linger in containers for months, and many people find that throwing out their perfectly good container is the only way to get rid of the smell. The team at Car-Registration.org knows that you hate to waste money, but by leaving food in your car, that is exactly what you are doing. Americans spend an astronomical amount of money on food that spoils each year, and it is unknown how much of this food spoils inside of vehicles. Before heading into your home or workplace, be sure that there are no containers of food hiding in the dark corners of your car.